There’s no stopping to the Volkswagen Group’s crossover assault as more and more high-riding models are currently in the works or have been recently unveiled. After catching a glimpse of SEAT’s three-row Tarraco earlier, now time has come to check out the much smaller T-Cross belonging to the VW core brand. This one too was spotted stretching out at the Nurburgring Nordschleife ahead of its world reveal scheduled to take place in the months to come. 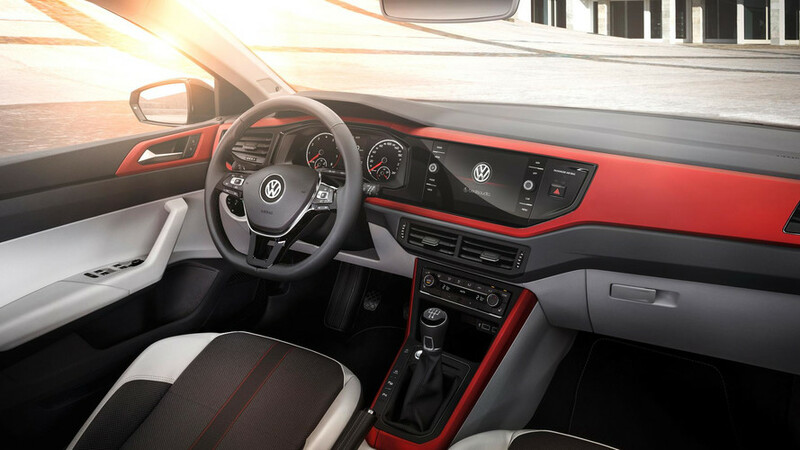 Essentially a crossover-ised Polo acting as VW’s equivalent of the SEAT Arona, the T-Cross will serve as the company’s most affordable high-riding model until the arrival of an even smaller up!-based T-Track. Let’s remember the folks from Wolfsburg previewed their B-segment CUV a while back with the T-Cross Breeze, but that was a conceptual convertible whereas the road-going model will come with a conventional crossover body. Should you want a droptop riding on a pair of stilts, the T-Roc Convertible will be out in 2020. Yet another member of the MQB family in its shortest configuration dubbed “A0,” the forthcoming VW T-Cross will be offered with the familiar 1.0- and 1.5-litre TSI petrol engines along with a 1.6-litre TDI inherited from the Polo from where it will borrow most of the oily bits. Front-wheel drive will be standard and it’s unclear whether 4Motion will be available on more expensive versions since an all-paw setup is not that important in this segment. There’s still plenty of camouflage on this near-production prototype, but even so we can observe the T-Cross is kind of cute and has a pair of funky taillights. It should look better with full LED headlights instead of the test vehicle’s halogen lights, but you’ll obviously have to pay extra for that. While there are no shots of the interior in the adjacent set, a look at the Polo’s cabin (pictured above) should paint an accurate picture of what we will find inside the T-Cross since there probably won’t be any major changes. An all-digital instrument is going to be offered on upper-spec trim levels along with a generous array of kit borrowed from the supermini. VW has promised to unveil the production-ready T-Cross later this year, but it won’t be at the Paris Motor Show because the company will be skipping the auto event organised in France’s capital in October. It probably means VW will organise its own event where the subcompact crossover won’t have to share the spotlight with anyone.